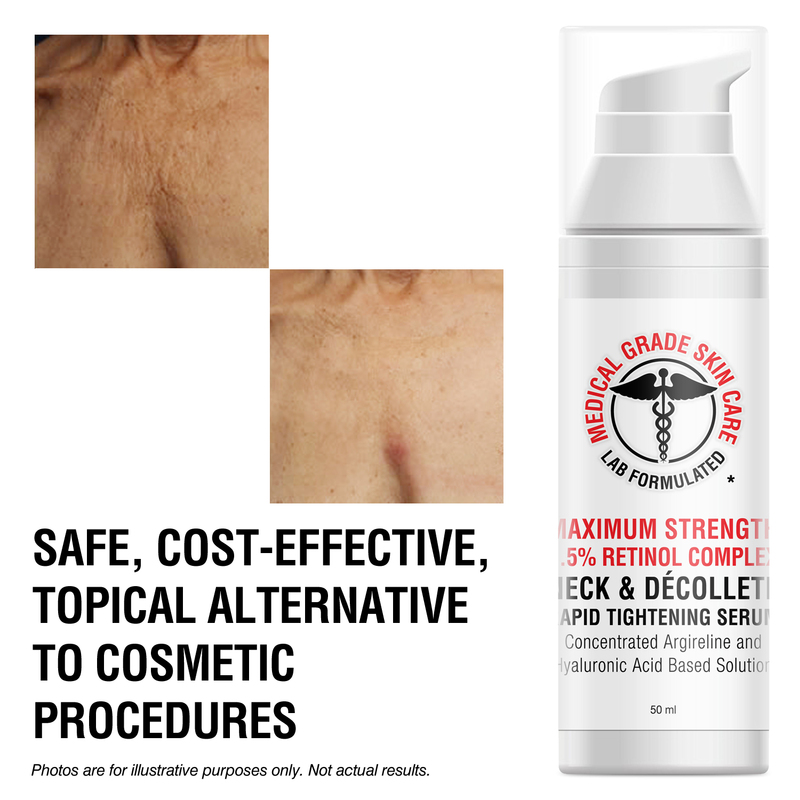 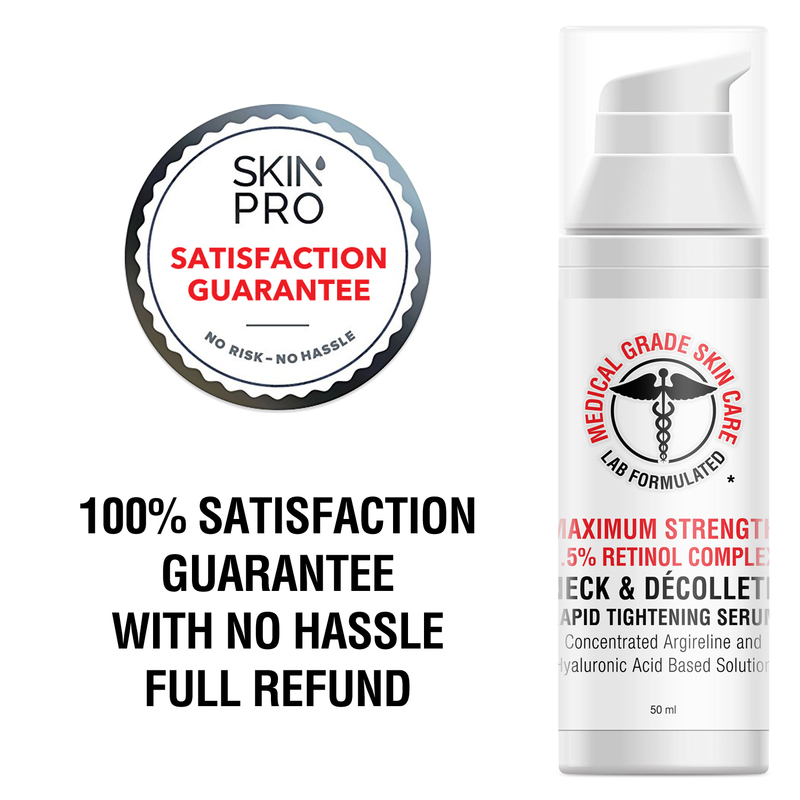 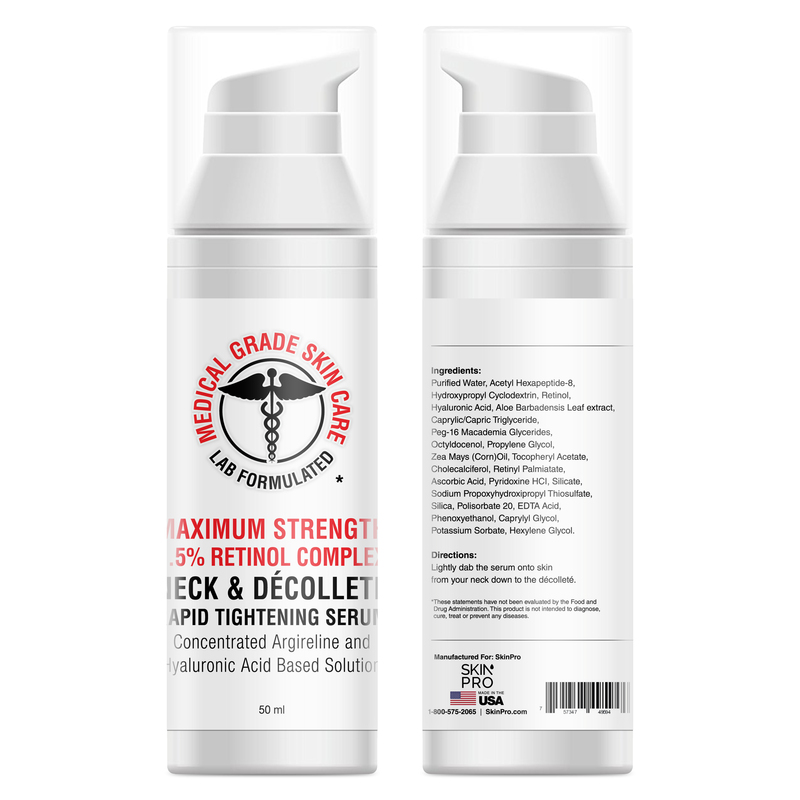 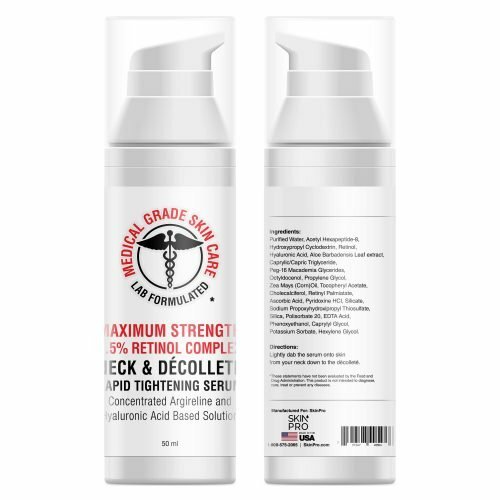 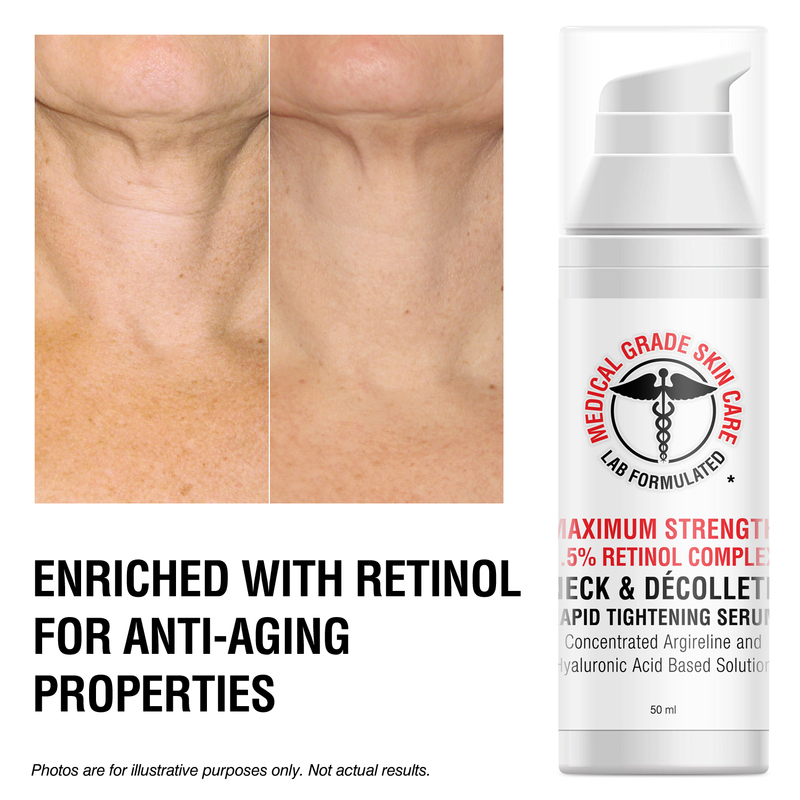 The Neck & Décolleté Rapid Tightening Serum in our Medical Grade Skin Care line of products is formulated by our team of cosmetic pharmacists to specifically combat aging of the skin in the neck and upper chest area. 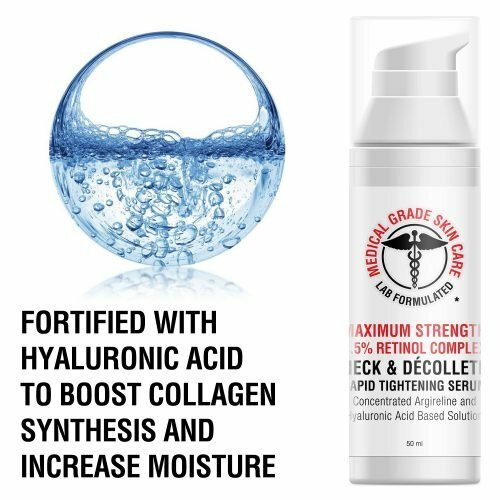 Application of this serum daily is the perfect solution for a younger appearance in areas of the skin where it is most susceptible to showing the signs of aging. This serum is comprised of a potent blend of powerful anti-aging peptides, including a maximum strength concentration of Retinol, to tighten loose and saggy skin to diminish the appearance of fine lines and wrinkles. 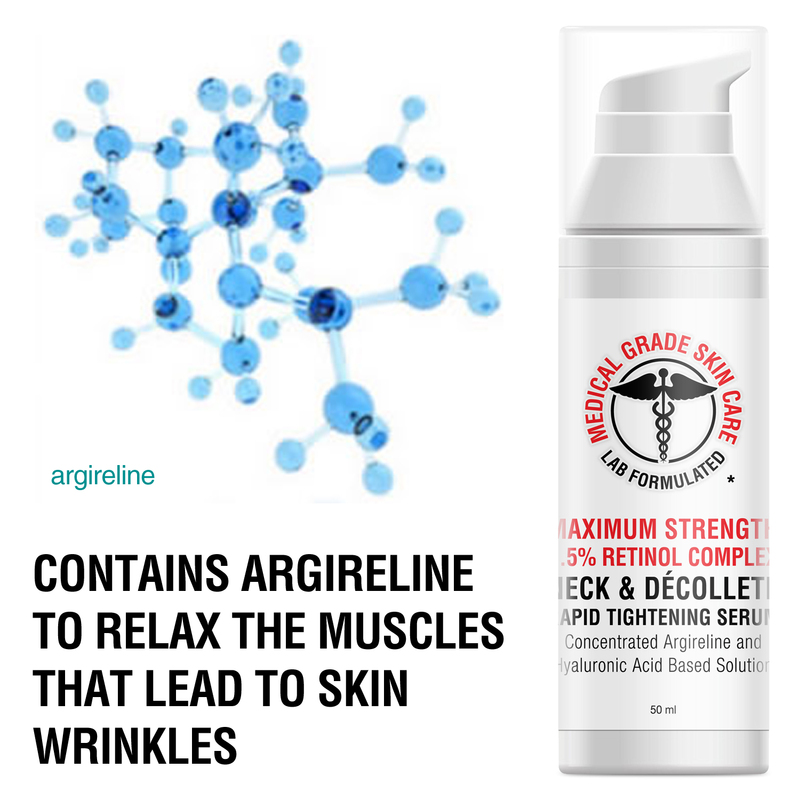 Use of this product will produce an increase in skin elasticity, a boost of the production of collagen in the skin (plumping up and firming the skin cells), repairing and regenerating damaged skin cells, and cleaner skin with its antioxidant power. 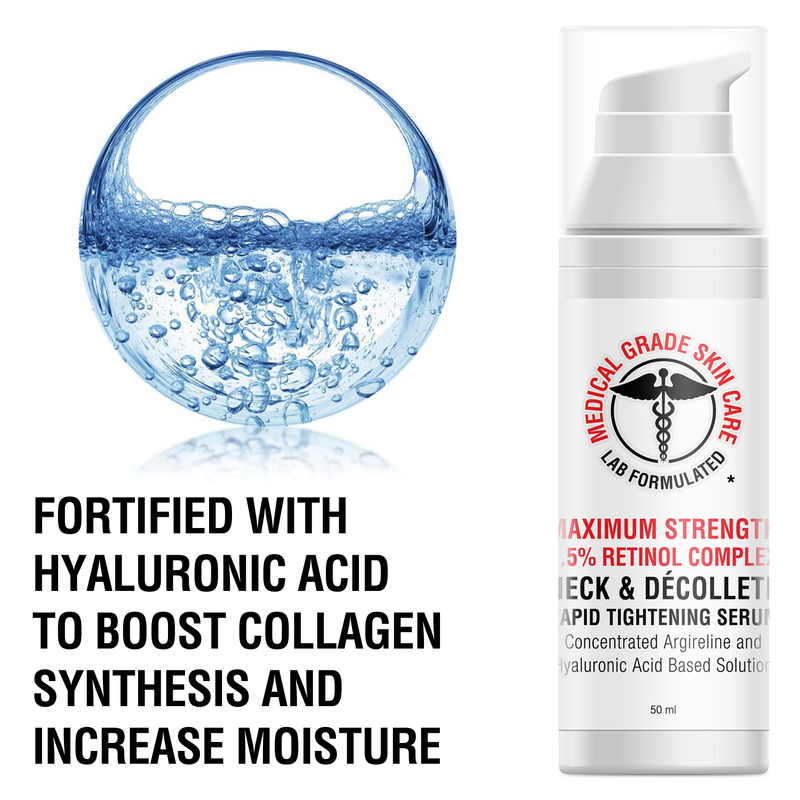 Hyaluronic Acid is also a key part of this formula, added to keep the skin moisturized and nourished. 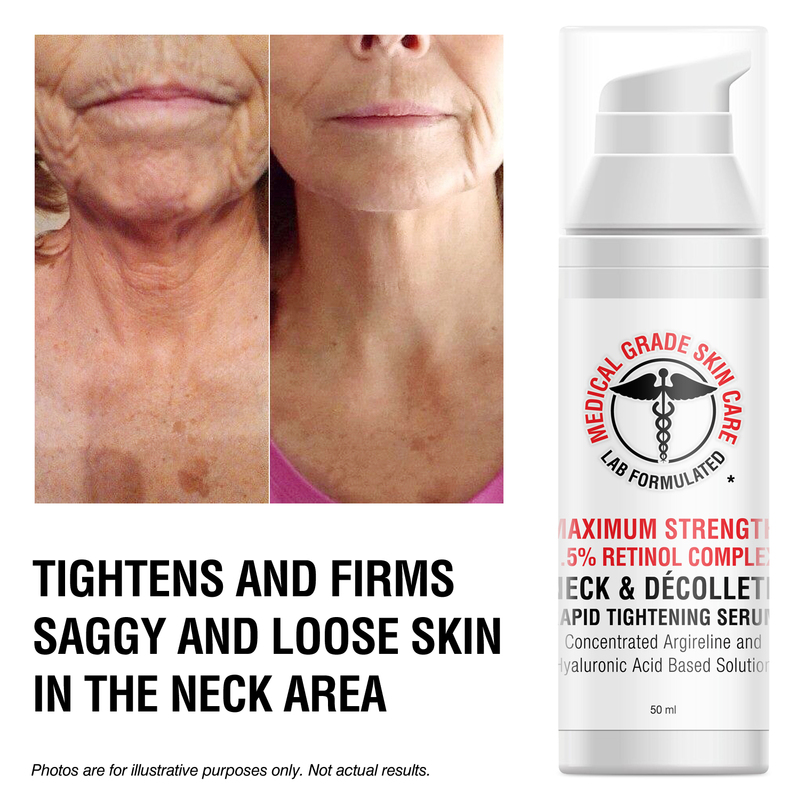 Lightly dab the serum onto skin from your neck down to the décolleté. Purified Water, Acetyl Hexapeptide-8, Hydroxypropyl Cyclodextrin, Retinol, Hyaluronic Acid, Aloe Barbadensis Leaf Extract, Caprylic/Capric Triglyceride, Peg-16 Macademia Glycerides, Octyldocenol, Propylene Glycol, Zea Mays (Corn) Oil, Tocopheryl Acetate, Cholecalciferol, Retinyl Palmitate, Ascorbic Acid, Pyridoxine HCL, Silicate, Sodium Propoxyhydroxipropyl Thiosulfate, Silica, Polisorbate 20, EDTA Acid, Phenoxyethanol, Caprylyl Glycol, Potassium Sorbate, Heyxlene Glycol.